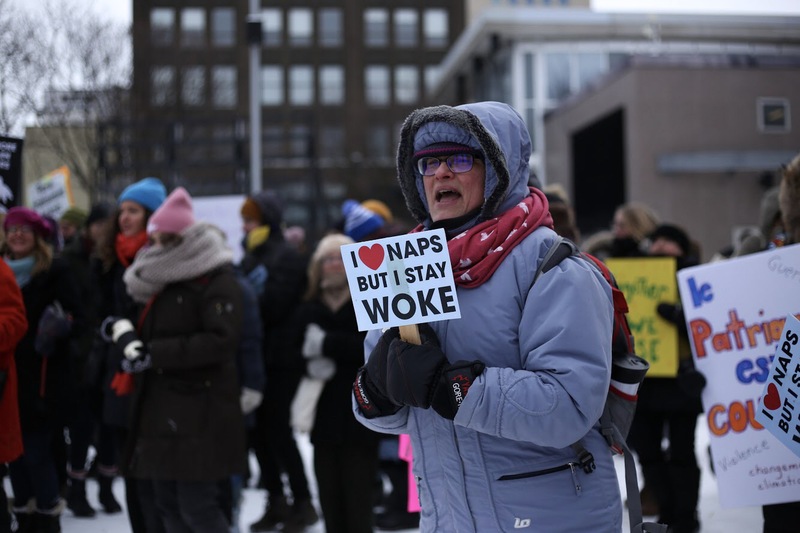 Despite temperatures of 20 to 30 below zero, with a snowstorm just around the corner, about 100 protestors, a majority of women and some men, gathered at Place Émilie-Gamelin to march for women’s rights on Jan. 19. Before the march, speakers shared their experiences of oppression, domestic violence and marginalization. There were a few performances that made the crowd jump to their feet to combat the cold. The march only lasted 20 minutes due to the weather. Bhagwandass also said there should be more funding for women’s health in Canada. There is an “inequity and inequality of women’s health issues and they are deprioritized because they are underfunded, undertreated and underrecognized,” she said. The march, the third of its kind in Montreal, was hosted by March on Montreal, a community organization. According to the Women’s March website, this event is held in multiple cities every year, including Washington D.C., Berlin and London. Samantha Ilacqua, an activist at Fightback, an organization that focuses on educating workers and youth on Marxism, said her organization attended the march to fight against all forms of oppression towards everyone, including women. “Sexual assault and harassment is something that [women] face everyday,” Ilacqua said. According to Statistics Canada, the rate of police-reported violent crime in 2017 was higher for victims who were women aged 24 and under, in comparison to their male counterparts. Gabriel D’Astous, another attendee, said this form of solidarity should be happening all around the world. “I think it’s so important to go out and march for solidarity with women across the world,” he said. With the CAQ government currently in power, D’Astous believes Legault’s policies will create some resistance from women. “I think around the corner, there will be some important issues in Quebec with a right-wing government that just got elected and a lot of discussion about fairly racist policies that are both in the intersection of racism and sexism,” he said.